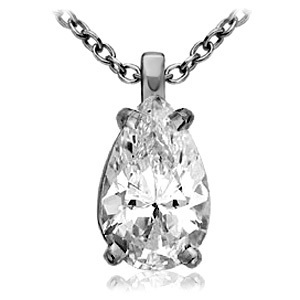 This solitaire pendant has a pear-cut diamond set with four prongs. 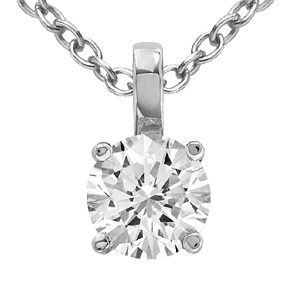 The setting is held by a bail and suspended from a gorgeous link chain. 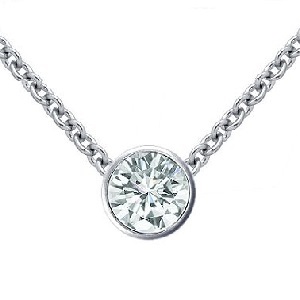 This pendant comes in white gold, yellow gold or rose gold. 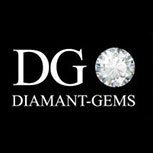 It can be completely customised and mounted with a ruby, a sapphire or an emerald. 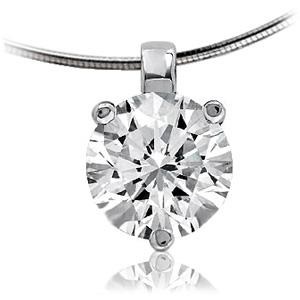 This timeless teardrop accessory will make your neck look divine. It has a certificate of authenticity and comes in a beautiful case.